Super simple and versatile. Just 3 ingredients. Serve hot or cold, with or without the booze. 1Mix all ingredients (or just first two, for non-alcoholic version, in which case double cider and KISS quantities) into a shaker with ice. 2Strain and pour into chilled martini glass. 1Pour apple cider into small saucepan and bring to a slow boil. 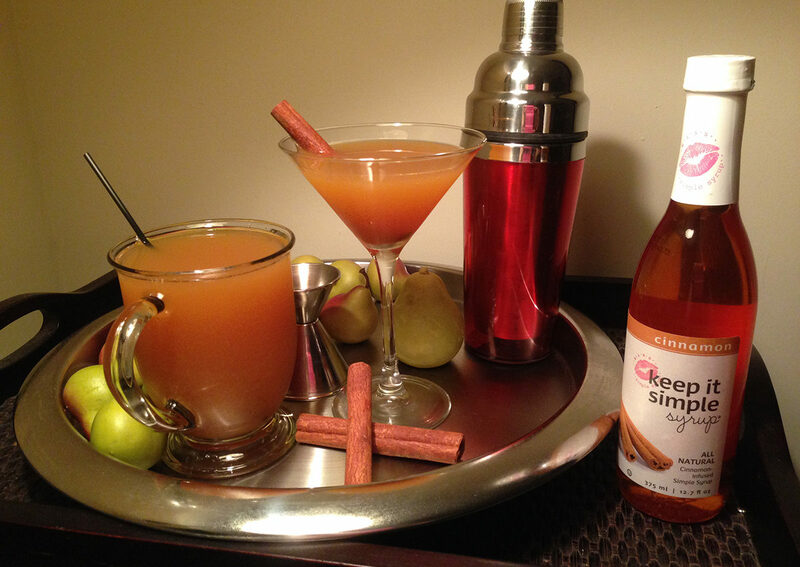 4Add Cinnamon KISS and 1½ oz spirit of choice (vodka, whiskey, or rum), and stir gently. 5Omit the spirit for a non-alcoholic warmer. 6Add cinnamon stick, if available, as a garnish. I tried this and it was yummy.